Hey Hawks! I'm Parker, your 2013-2014 Hillview ASB President here, with Jack, your ASB Vice President and we are here to tell you about the magazine fundraiser this year! You’ve probably seen the posters and heard people say “THE DUCKS ARE COMING!" What has this been all about? Well, this means MAGAZINE FUNDRAISER is here at last! Prizes. Money. And More! 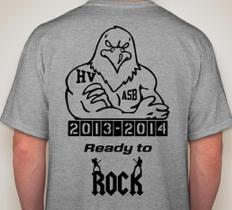 More importantly, it means fundraising for ASB, YOUR student council, so that we have awesome events this year. Also, the ducks are a much bigger part of this year’s fundraiser….we will be feeding you every day, so have those ducks visible at all times! We know that some of you participated and really got into this last year, but this year we need AS MANY OF YOU AS WE CAN! Every persons sales and efforts count! Why? Well the magazine fundraiser is the biggest fundraiser that goes to ASB’s (Student Council’s) budget….in fact, this is the one and only time we will do a fundraiser like this! This means if all of you get involved and we do way better than last year, WHICH WE WILL, then our budget is bigger. Our goal? $60,000. Last year, we did about $25,000. I know that seems like a big goal, but we can do it! You all know what that means don’t you… BETTER DANCES WITH BETTER DECORATIONS, BETTER SPIRIT DAYS, EPIC RALLIES AND NOON EVENTS…..AND DON'T FORGET: HAWKAPALOOZA COULD BE EVEN MORE FANTASTIC! ALL OF THESE ARE MORE OPPORTUNITIES TO MAKE HILLVIEW AWESOME! The more spirit we have, the more incredible Hillview will be. This leads to a more engaging atmosphere and creates the memories in middle school that everyone wants! We want this year to rock….and your support in our fundraiser will help us do just that. Plus, there is INCREDIBLE PRIZES for you just for helping us raise money. Now that you’ve seen the assembly and have your packet, the magazine fundraiser has officially begun! We have two weeks to reach our goal….so start calling friends and family, e-mailing, and selling! When it is your time to graduate, you will look back at this year and remember it as the best year of middle school you could ever ask for. How we do in this year’s magazine fundraiser will be a big reason why we had such an awesome year. 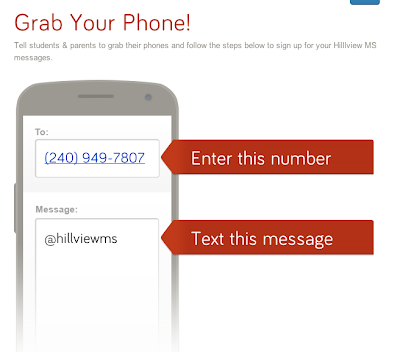 Also, if you haven't signed up for our Remind101 HillviewASB Alerts, please follow the directions below to get updates on your phone. cool! We're so excited. Definetley going to participate! We are going to get $60,000 so we can have really cool events! Nice shirt. i am going to try and sell 30 orders! yay! This is so cool! I can't wait to get subscribed! Let's sell those magazines and reach our goal!